Ms. Aijazuddin is IFC’s Global Head of Microfinance and also works as Principal Investment Officer in IFC’s Financial Institution Group (FIG). She covers IFC’s microfinance investment and advisory activities globally, which exceeds cumulative investments of US$3.2 billion worldwide with over 300 MFIs, in addition to advisory services worth $63.7 million in 68 projects across 30 countries. She is leading IFC’s efforts to scale up private sector commitments with strategic partners committed to achieving the World Bank Group’s Universal Financial Access by 2020. Ms. Aijazuddin brings nearly two decades of investment transaction experience in financial services, microfinance and manufacturing sectors in over 50 countries across Africa, Asia, Eastern Europe, MENA and LAC regions. Her technical expertise includes setting up greenfield MFIs in MENA and Asia, transforming MFIs to become regulated banks and engaging with policymakers and industry players. 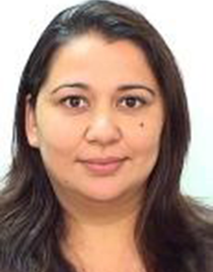 Ms. Aijazuddin currently serves on the Supervisory Board of the Microfinance Initiative for Asia (MIFA), a US$175 million debt fund, launched by IFC and KFW and managed by Blue Orchard. Her experience prior to joining IFC includes work in the banking sector. Momina holds a Master’s degree in Economics with Distinction from the London School of Economics.